← Pig hunting and GPS-collared dogs? 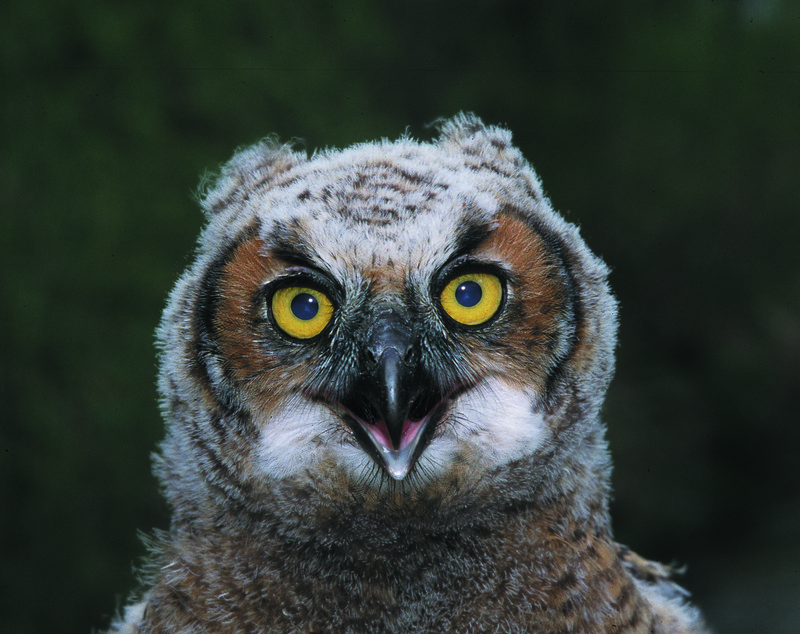 Answer: You probably have a new family of owls in your tree (adults with juveniles). According to DFG raptor biologist Carie Battistone, if you can be patient with the noise, they should move on soon. If not, try putting a fake owl out in a highly visible location (the ones sold in stores are great horned owls which are a top predator) to discourage them from settling in. It may help to move the fake owl to different locations every other day so they don’t get used to it in one place. Loud noises such as clapping or banging can flush them out too. If all this fails, then you can call USDA Wildlife Services, which specializes in this type of issue. You can contact them at (916) 979-2675 and they will be able to direct you to the appropriate office. Question:I want to confirm my understanding of the regulations regarding hunting in California with a shotgun. As I read it, those who hunt birds can only carry 25 shotshells and have three shells in their shotgun. However, hunters hunting coyotes (a nongame species) are not bound by the bird hunter shell counts. They may carry up to 10 shells in their shotgun and an unlimited number of shells with them. Is this an accurate interpretation? Does the same apply to fur bearing animals such as fox and bobcat? Answer: Generally, shotguns with a three-shell maximum capacity are authorized for taking all birds and mammals in California and there are no restrictions on how many shells you may possess while in the field. Regulations do restrict using or possessing a shotgun capable of holding more than six shells to take any bird or mammal statewide, including all furbearing and nongame mammals (Fish and Game Code, section 2010). Furbearing mammals (fox, raccoon, beaver, ground squirrels, etc.) and nongame mammals (coyotes and bobcats, etc.) may be taken with shotguns and regulations do not limit the capacity of shot shells possessed by the hunter in the field or in the firearm (California Code of Regulations Title 14, sections 465 and 475). Hunting regulations for Federal Wildlife Refuges (Refuges) do restrict hunters to no more than 25 shells while in the field no matter what species of bird or mammal they are pursuing, including coyotes. Some State Wildlife Areas (SWA) also have this restriction, but not all of them, so check with the SWA where you intend to hunt to confirm their policy. According to Department of Fish and Game (DFG) Retired Capt. Phil Nelms, unless you are on a Refuge or SWA where there is a restriction on the number of shotshells that may be in your possession, you may take coyotes, bobcats and foxes throughout California with a shotgun holding no more than six shells total, and there is no restriction on the number of shells you can possess while in the field. Answer: Please check our website at www.dfg.ca.gov/licensing/statistics/statistics.html for information on the numbers of licenses sold, cost of each license and the annual revenue generated from each. You can also view all of the special permits, cards and stamps sold as well as commercial fishing and fish business licenses and permits here. If you click on the 10-year link under each category, you will find the 2010 sales statistics to date. These statistics are updated monthly. This entry was posted in Firearms/Ammunition, Info, Nuisance Animals & Pests and tagged ammunition, birds, firearms, Licenses, nuisance wildlife, owls, regulations. Bookmark the permalink. Glad I ran across your website. Im going to be moving to California in 3 months…You have a lot of great information.